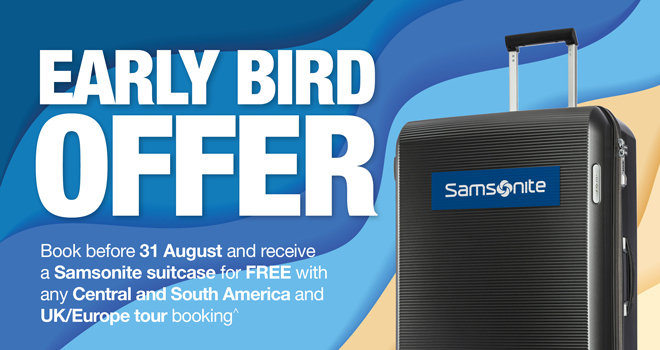 Within 7 days of making a booking, an email will be sent to you containing your unique coupon code along with instructions on how to redeem your Samsonite suitcase. This limited time Early Bird offer is valid per couple. For example, four people in one booking will receive two Samsonite suitcases. Hurry, offer ends 31 August. Secure your 2019 Europe or Central and South America tour today to avoid missing out! 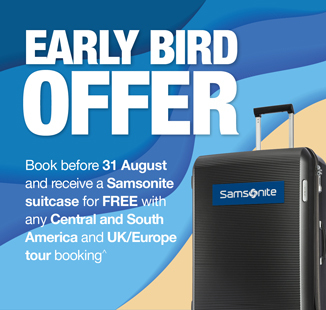 ^Samsonite offer applies to any UK/Europe or Central and South America early bird tour booking made at https://exclusives.webjet.com.au/, from 00:01 Wednesday 1 August 2018 – 23:59 Friday 31 August 2018. Minimum 2 people per booking. Offer strictly limited to one large Graphite 75cm Arq Spinner suitcase per couple and cannot be applied to prior purchases or bookings. Suitcase can be redeemed at http://www.samsonite.com.au with a unique coupon code that will be issued by Webjet Exclusives via email to the booking contact within 7 days of booking a tour. Full details on how to redeem the suitcase will be provided at this time. Excludes any UK/Europe or Central and South America tour bookings for 2018 departures. The expiry date for all coupon codes issued as part of this promotion will be 30 September 2018. 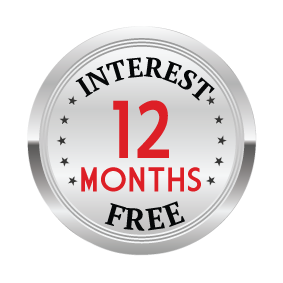 Offer can be withdrawn any time without notice. We reserve the right to cancel any coupon codes that have been issued against a cancelled booking. Webjet Exclusives is the sole promoter and as such all inquiries in relation to this promotion must be directed to Webjet Exclusives Customer Support Service, however if you are experiencing difficulties redeeming your coupon code at time of checkout via the Samsonite website, email Samsonite directly at online.au@samsonite.com for assistance, including ‘Webjet’ in the subject line. The Samsonite team will then respond accordingly. Webjet Exclusives standard booking terms and conditions apply.